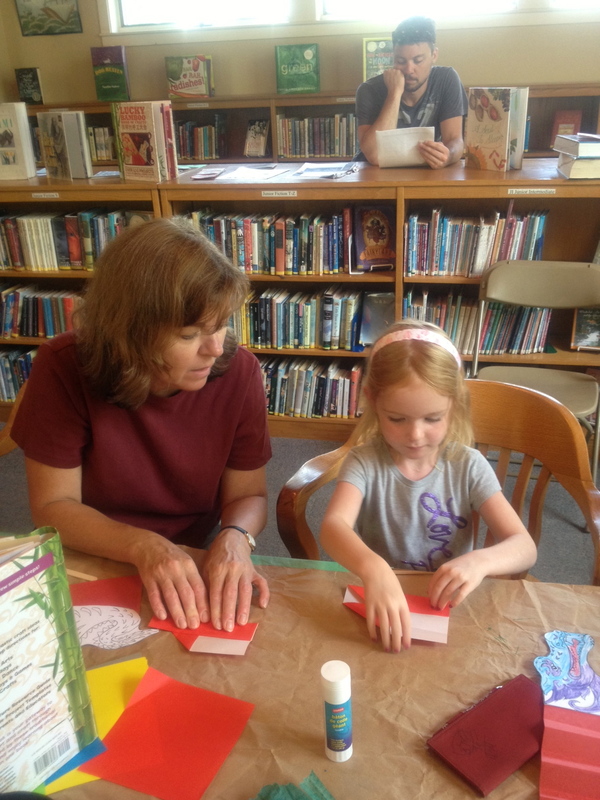 Recently I celebrated the Mid-Autumn Moon Festival by teaching about the holiday and sharing a moon lantern craft at our public library in Portland, Maine. I’ve done several library events to date, and once again I was met with great enthusiasm, support and flawless organization. Once again I got to spend time with a fantastic children’s librarian (thanks, Jerri!) that was incredibly intelligent, creative, inspired and full of energy. I know I’ve been a bit (ahem) stingy with photos in previous blog entries so here are some highlights of my wonderful library experiences over recent months. 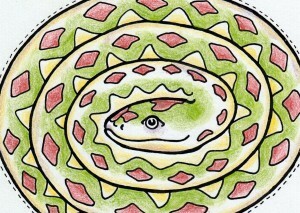 You’d think with the amount of time I spend perusing Pinterest, I’d know to offer up more visuals! I confess I’m a bit private and camera shy…. 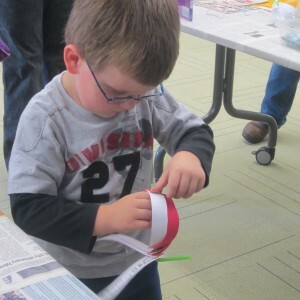 but what I think you’ll see is how “in my element” I am with the kids, the crafts and the fun. I’m not one to sit on an author pedestal autographing books… what fun is that? Times are changing for libraries with the lightning speed of technology growth and the pressure to do more and do it smarter and better, often on less budget. And of course there is the issue of the book. The real one. On the shelf. Will there be a future? All interesting and a little ominous. 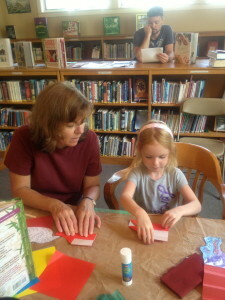 Keep visiting your public libraries, make donations, attend events, offer suggestions, bring the kids to storytime…. 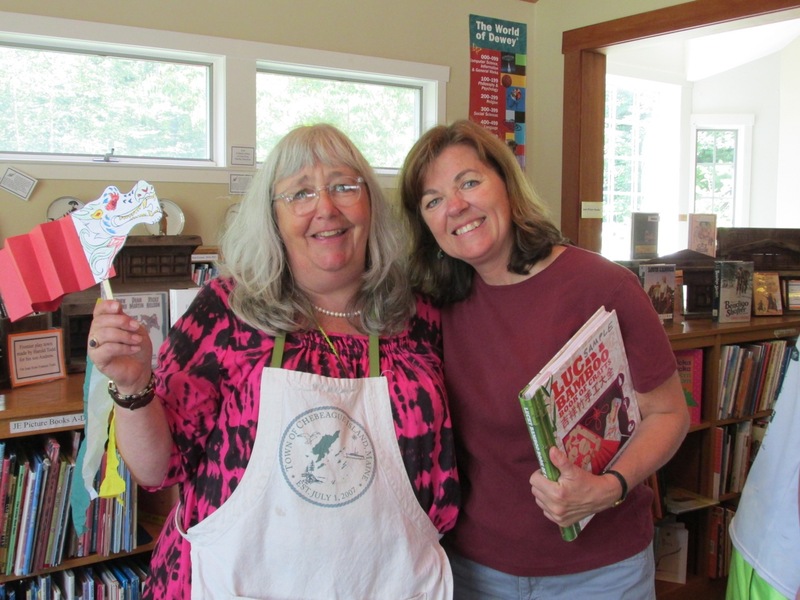 we need our local libraries as much as our libraries need our community support! Now that I’m promoting the book, many have asked, “How are you selling it?”. Getting the book in people’s hands does not happen overnight, especially from a new author. This step is a continuation of my blessing and curse of being a homegrown self-publisher that up to now has not yet worked with a publicist or marketing firm. Distribution is in my future (I guess that is my cliffhanger), but I have been “intimately” involved with every action of getting the book some exposure and sales. Yes, in other words I-did-everything. My friend Joyce has a lovely fine art and handicraft gallery http://www.holeinthewallstudioworks.com/ and hosted a book signing for me recently. 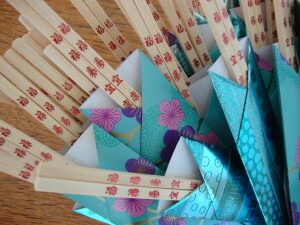 Along with Chinese dumplings and refreshments, we offered origami chopstick holders as a little giveaway. As I was folding and preparing them, I thought of what a creative experience the selling part of this journey can be with the right attitude, patience and limitless imagination. It was a balmy, beautiful evening with old friends and new, where I was able to shine and just be an author, not a frazzled promoter. 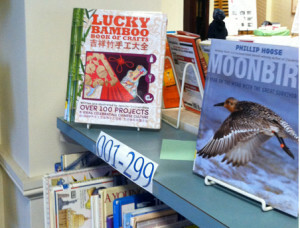 I also sold a nice heap of books! I’ve talked to many children at schools and libraries and gotten some wonderful comments and jubilant reactions to the book. I’ve also shared crafting projects at these events that are thrilling to the young makers and to me as well, to be able to offer a real thing (right here, right now) to craft and take home. I’d like to say that describes my entire selling experience. The reality consists of many, many hours on the computer writing promo mail, making phone calls to stores, dipping my toe into social media (truth be told, Pinterest is the only platform I actually enjoy), planning appearances and events, maintaining Amazon, sending out review copies and talking about my book until even I get sick of it. But I believe in it and the book I now hold in my hands truly reflects my original vision. Even with the second-guessing (that probably occurs with all authors the minute their book goes to press), I’m proud of what I’ve created, and so far, customers are finding it unique and useful and fun. 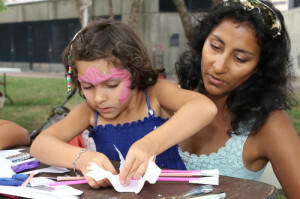 When I receive a review like this http://www.biculturalmama.com/2013/06/100-kids-projects-for-celebrating.html I can smile, knowing the book is landing where it should be, finally standing on its own. 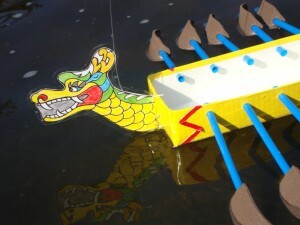 Now that spring has arrived (in Maine, we add a “finally” to that), the Dragon Boat Festival season is almost upon us. 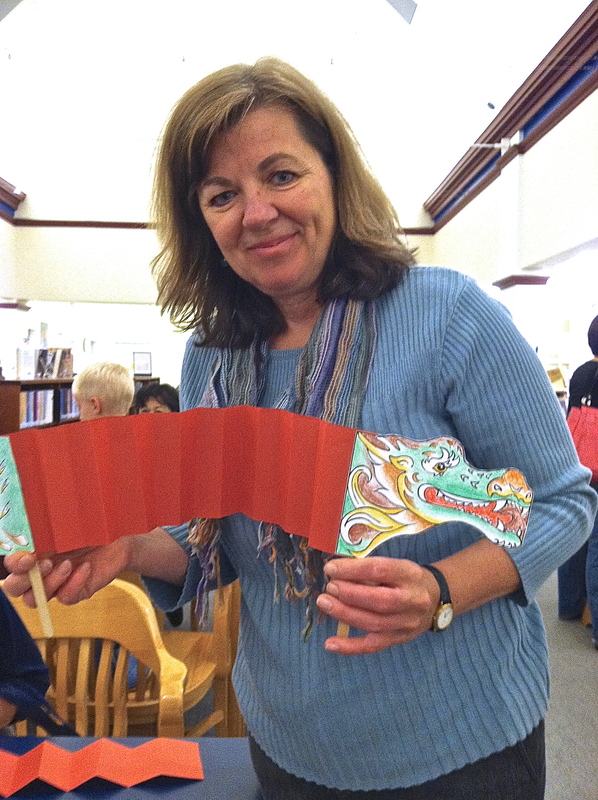 Although I embrace all Chinese cultural activities, I do get a bit of a “one track mind” steered toward celebrating Chinese New Year. 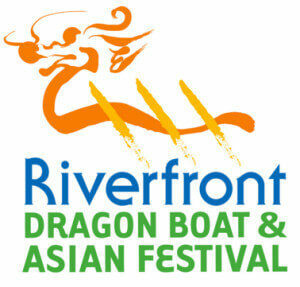 This year I aim to discover and experience more about the dragon boat traditions and this fascinating holiday. On the 5th day of the 5th lunar month (June 12th this year), Duan Wu is celebrated. Honoring the history of the great poet Qu Yuan, the holiday is usually spent at the waterfront where dragon boat races are the main event. Glutinous rice dumplings (zongzi) are enjoyed by hungry paddlers. Children wear incense pouches to ward off evil spirits. 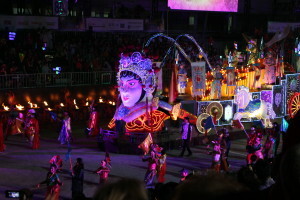 Drum beats and laughter abound as families gather for the fun. In August I travel to the Riverfront Dragon Boat & Asian Festival in Hartford, CT to run a kids’ crafting area while promoting Lucky Bamboo Book of Crafts. I look forward to being right in the action while hundreds of racers from far and wide show off their colorful vessels as they try for victory. I will also enjoy many other cultural exhibits and performances happening during the weekend and of course… the food. I plan to adapt a dragon boat project from my book… one of my favorites. It will need to be an easy make-and-take for hot and tired young festival visitors with only a few free minutes. I hope to provide a little crafting oasis in the huge, active festival area. I’m thrilled that I was invited to participate! Lately my book marketing pursuits have led me back into the elementary classroom, where I’m asked to bring a culture project to do with the kids. With each visit I am reminded as to why teachers love what they do, year after year. Every time a group of children lights up as they dive into art making, I can only describe my feeling from head to toe in one word…. happy. I’m reminded of the wonder and freedom kids have when they pick up a brush full of paint or construct something original out of paper. They get lost in the process and in their private world of imagination and often look at their results with pride and disbelief… “did I really make that?”. Recently I made mini-scrolls with first and second graders. It is a great, manageable format for trying out brush painting, calligraphy or just simple drawings. I constructed the scrolls ahead (easy!) so we could get right to it. I offered visual reference and guidance for painting pandas and bamboo. 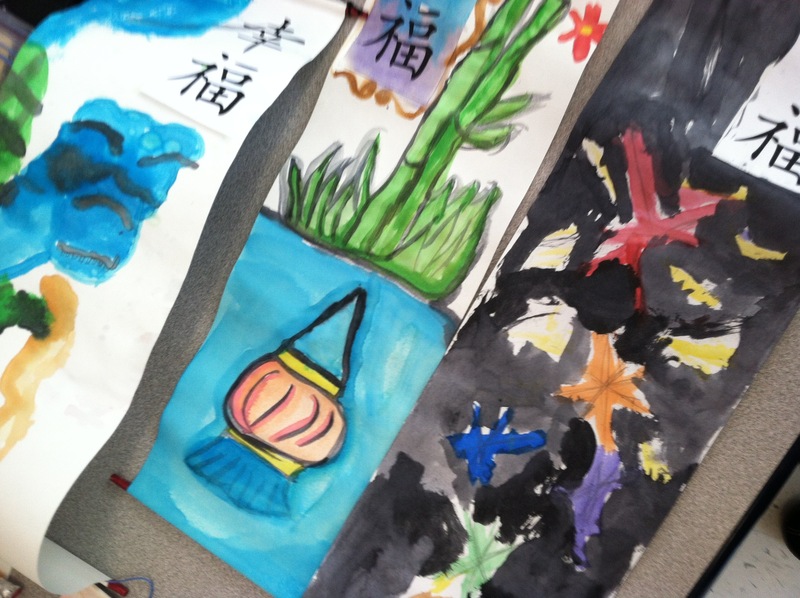 I was pleased when some of the students proceeded to completely ignore me and paint what meant China to them including maps, pagodas, lanterns and lots of dragons. As only a guest author, I could not be held accountable when they didn’t stick to the plan! 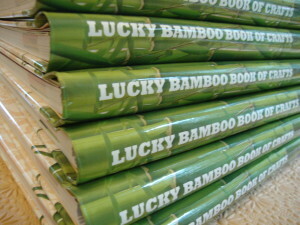 Lucky Bamboo Book of Crafts goes to press! 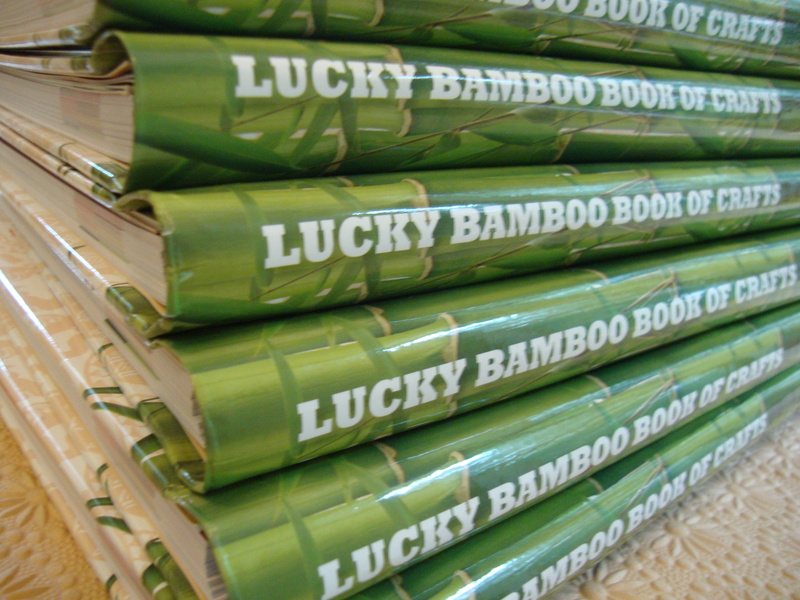 After years of researching, crafting, writing, drawing and lots of fretting, I can finally say that Lucky Bamboo Book of Crafts first edition has been printed and shipped from the factory! It will be available for fulfilling your orders in just a few weeks. There is a lot of hip, hip hooray going on around here and as I tackle the next phase (sharing this book with the world), I will definitely be starting the Year of the Snake with many challenges, but also a huge feeling of accomplishment. 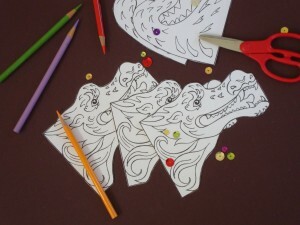 I plan to use this blog to update you on my book-related news, offer Chinese cultural information and also share even more Chinese craft ideas and project tips that could not fit into my already jam-packed book. I’m excited to have you along!